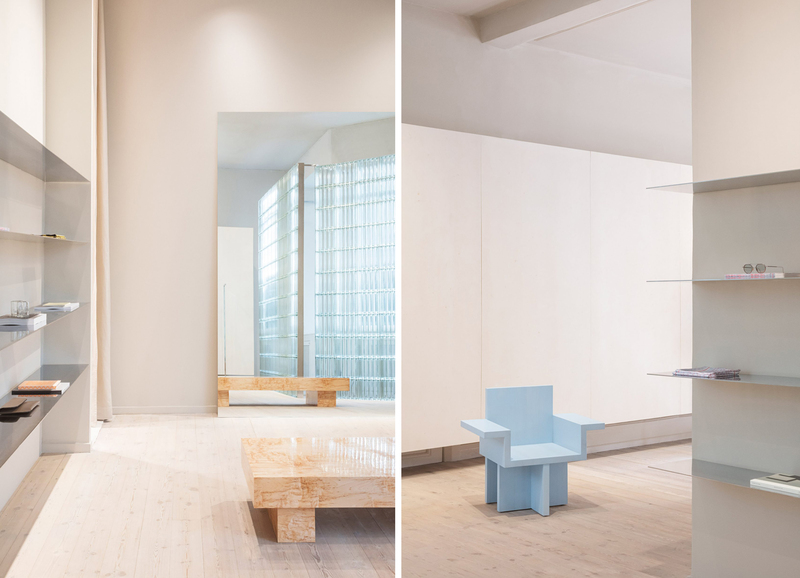 The space has a very Scandinavian style, and reveals a relatively streamlined decor and raw materials in pale pink, sky blue or beige. 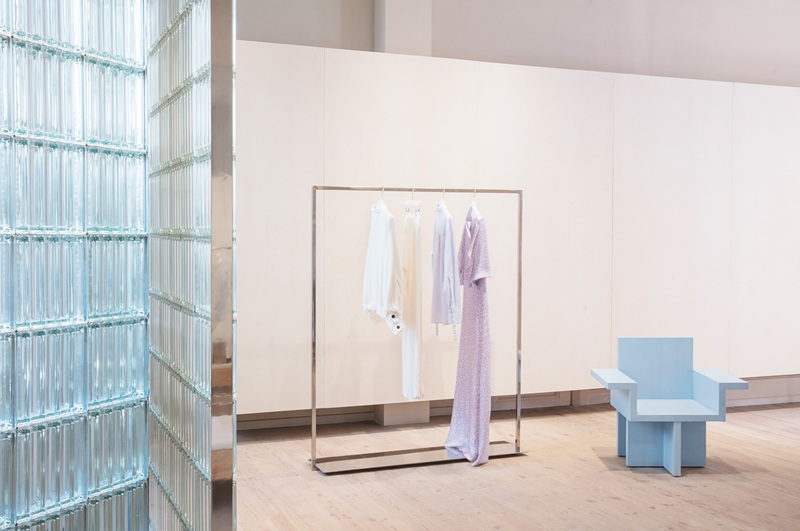 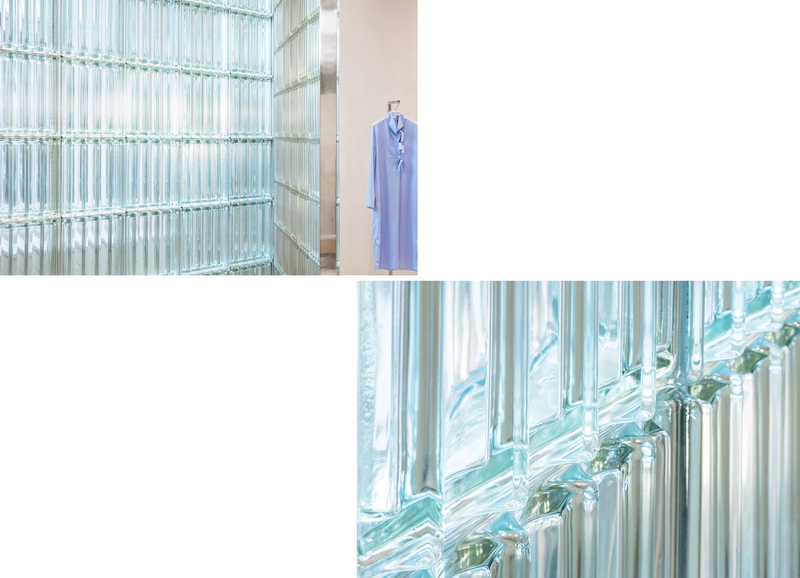 The boutique was opened in August 2018 and is made up of impressive rectangular panels in front of which the clothes are displayed, simply hung from elegant minimalist steel hangers. 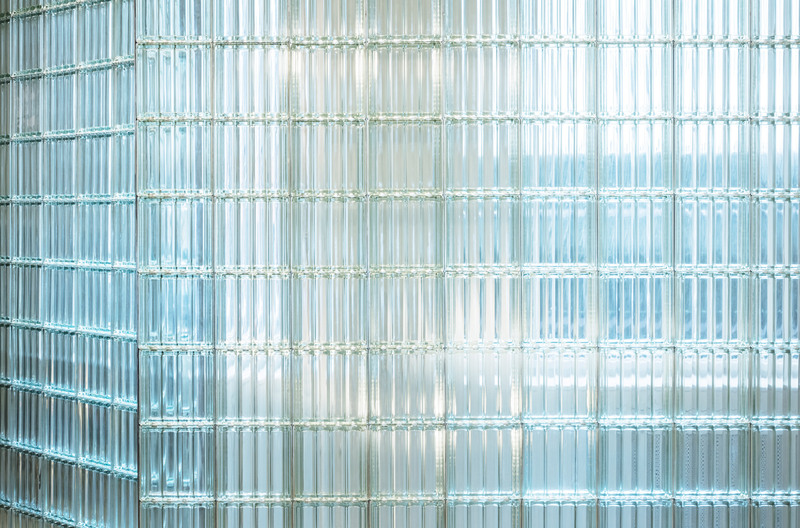 In contrast, the David Thulstrup studio has built walls made of glass bricks that create reflections and diffuse natural light. 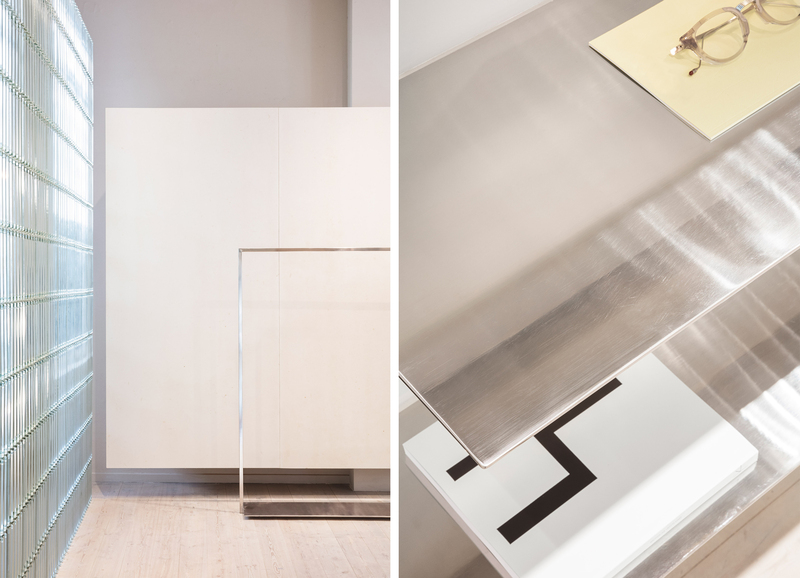 At the centre of the space is arranged a beech veneer table that adds a refined, precious touch. 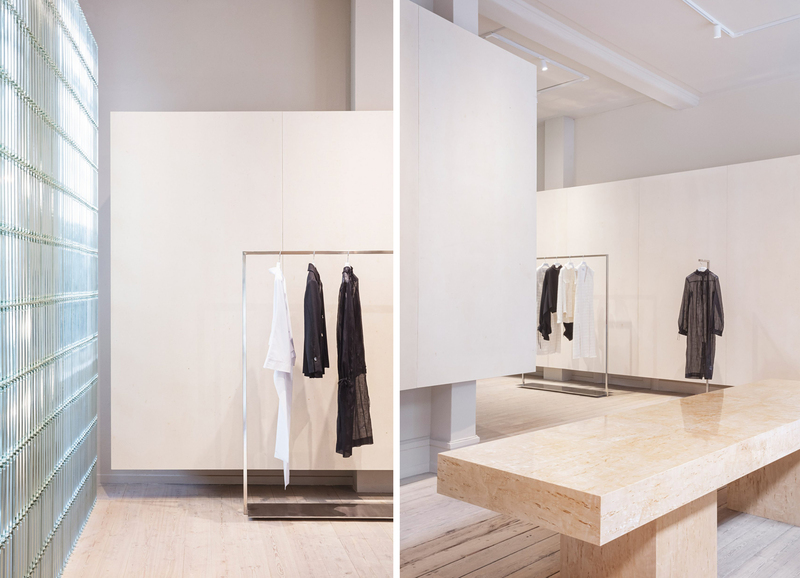 “I wanted to create the perfect framework to highlight the minimalist, classic and feminine silhouettes that Mark Kenly Domino Tan is known for,” explains David Thulstrup, head of the design studio. 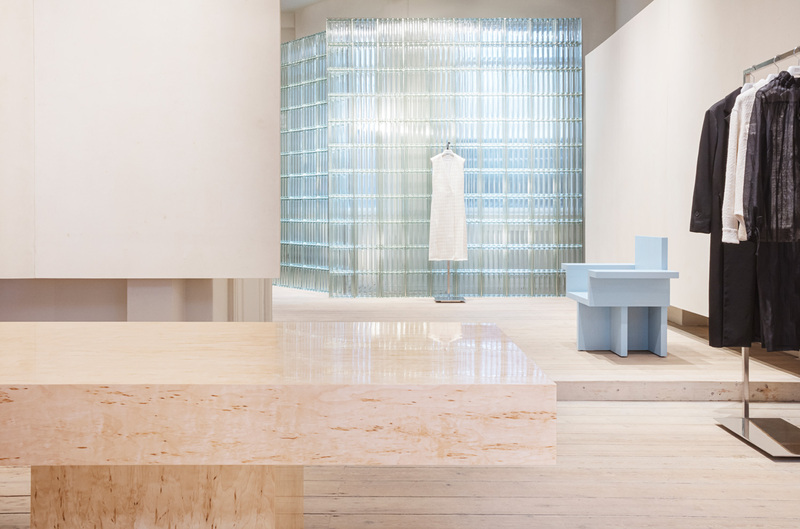 Just like Mark Kenly Domino Tan uses fabric as a foundation for his creative process, the David Thulstrup studio has paid particular attention to the choice of materials. 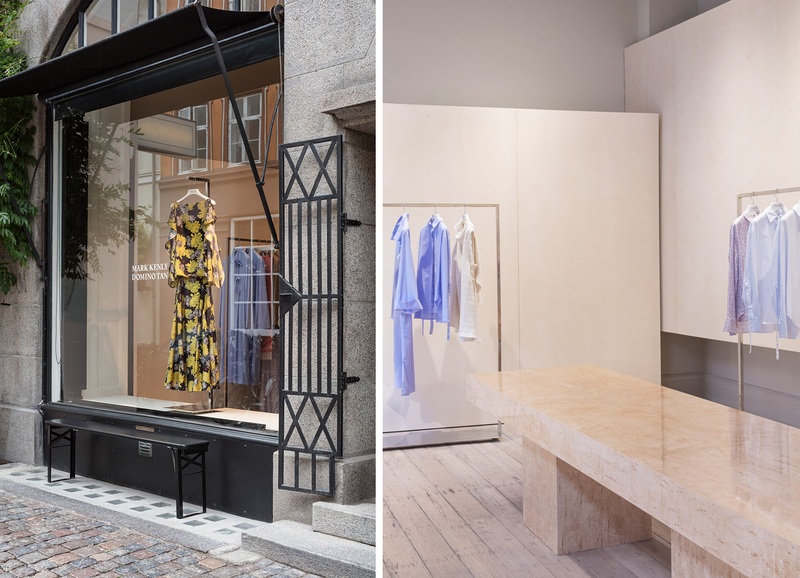 The brick-and-mortar store thus becomes an extension of the brand’s identity and aesthetic, paying homage to it and expressing an overall sensibility.